This May, NV Beauty Boutique will be offering mobile Waterloo Botox and Waterloo Lip Fillers! Botox and Dysport are neuromodulators which soften expression lines of the face by reducing overactive muscle movement. Clinics price Botox by the unit – our botox price is $8/unit. Treatments usually need 20-59 units. How do I prepare for a botox appointment? Clients require a consultation prior to their appointment. Email contactnvbeauty@gmail.com to book a consultation. Our lip fillers are available at $450/ Syringe, or $250 for a mini lip. 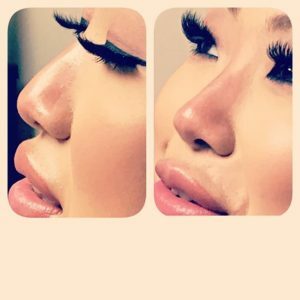 Why choose NV Beauty boutique for Botox and Lip fillers? Our nurse is fully mobile and has a location available in Niagara Falls. She is trained and certified with before and after photos available upon requests. Contact our cosmetic nurse directly to find out what risks are involved for your body type and lifestyle.